Feeling a case of the winter doldrums? Think to warmer days ahead and learn about a compelling hobby made possible by our Great Lake! This presentation on Tuesday, February 19 at 6:30 pm outlines the Sandusky Sailing Club “Learn to Sail Program,” which includes junior, adult, community, and adaptive sail courses. 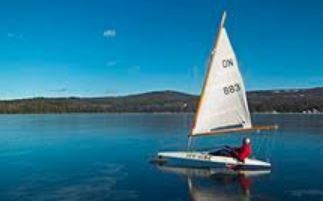 Learn about programs that cultivate a love of sailing and essential water safety skills. Registration required here.